It is safe to say that most of us here in Central Pennsylvania are ready to welcome spring and say goodbye to winter. But along with the warmer weather, there are some important tasks that you should add to your spring home maintenance checklist to ensure that your home has remained in good shape over the winter. Here are some reminders for homeowners to pay attention to these specific areas in their home this spring. What we mean by unwanted house guests are pests, rodents, or any other animals that may have moved into your home to survive the cold winter weather. Unfortunately, some of these creatures pose numerous health risks to you, your family and, possibly, your home, so they’ve got to go. Sometimes pests like termites are hard to detect, and you need to hire a professional termite inspector to evaluate the property and identify any signs of an infestation. During Autumn and Winter, a lot of twigs, leaves, and debris can accumulate on your roof and gutters. If left unchecked, this debris can cause damage to your home. That’s why at the beginning of every spring season, a roof inspection helps you to detect any damages on your roof, clogged gutters, or downspouts. Be sure to perform regular maintenance by clearing out all the debris from the gutters and making sure that the downspouts are directing rainwater away from the foundation. Regardless of how sealed off your basement may be, it is likely to encounter more moisture during the winter through snowstorms and subsequent snowmelt. While the cold and humid weather may not be suitable for formation of mildew and mold, as the weather warms during spring and summer, mold could become a problem if the humidity in the basement is not lowered. Therefore, you need to clean and dry your basement to avoid getting yourself into an unwanted mold situation. 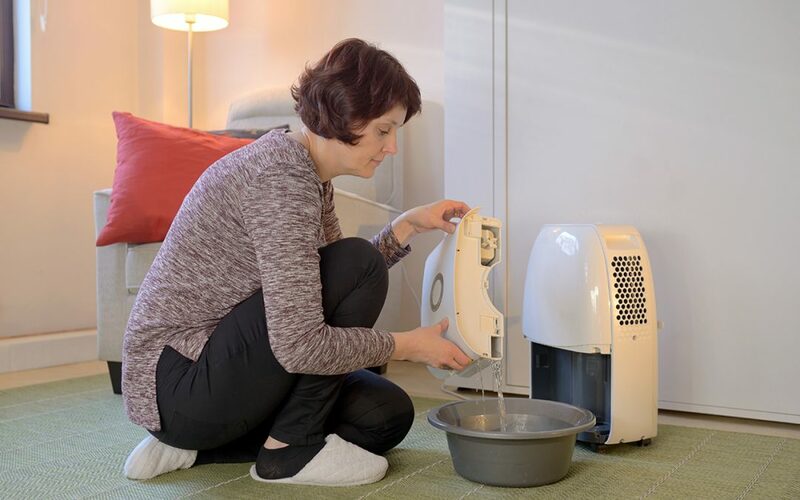 Running a dehumidifier in your basement is a crucial task for your spring home maintenance checklist. It is a fact that freezing weather always takes a toll on outside plumbing pipes and faucets. That’s why it is important to include checking them on your spring home maintenance checklist. Check whether your pipes, outdoor hoses, or faucets have been damaged by the chilly winter. Also, be sure to check all your gardening and lawn equipment to ensure that they are working properly. The HVAC system plays an important role in keeping your home comfortable during all seasons. Did you know that spring is always the best time to do some AC repair and maintenance? This is that time of the year when you should remember to replace your filters, reduce limescale, clear out any cloggy debris, and clean the coils. This ensures that your heating, cooling, and ventilation unit is running at peak performance and saving you energy at the same time. It’s also best to schedule your maintenance in more moderate weather so if there’s a problem that needs to be addressed, you won’t be stuck without AC in the summer and heat in the winter. With these practical spring home maintenance tasks, you are well on your way to restoring your home’s general health and appeal. The sooner you get them done they lesser you have to worry about future damages or an unhealthy living habitat. Advantage Inspection Services offers seasonal home maintenance inspections along with other inspection services to Central Pennsylvania. Contact us to discuss how we can help you with your spring home maintenance checklist.